Jack Bruchard is the wealthiest man in the world. For a year something spiritually extraordinary has happened to Jack. Then, a close staff person discovers a man with powers that a country keeps as a great secret. Jack wants to go beyond making a difference; he feels the powerful need to search for his Maker’s real agenda. Frank Hanson, his friend and business associate, becomes comfortable with his plan. Yet the assembled team are dumbfound by what they are really part of that no one has ever taught them. Do they have to be their own teacher? Money and power are actually inept in this introduction to what no one has ever been taught. “Jack Bruchard… an Introduction” has been selected for inclusion in the iUniverse Editor’s Choice program, which recognizes excellence in writing. 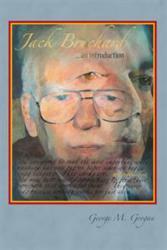 George M. Grogan began writing “Jack Bruchard … an Introduction” about 25 years ago. He worked in the television industry on the business side and had a radio show as well. Grogan is preparing a television channel and Center for the book “Teach” starting on the west and east coasts. His progress can be tracked on http://www.yourtv.tv. iUniverse, an Author Solutions, Inc. self-publishing imprint, is the leading book marketing, editorial services, and supported self-publishing provider. iUniverse has a strategic alliance with Indigo Books & Music, Inc. in Canada, and titles accepted into the iUniverse Rising Star program are featured in a special collection on BarnesandNoble.com. iUniverse recognizes excellence in book publishing through the Star, Reader’s Choice, Rising Star and Editor’s Choice designations—self-publishing’s only such awards program. Headquartered in Bloomington, Indiana, iUniverse also operates offices in Indianapolis. For more information or to publish a book, please visit iuniverse.com or call 1-800-AUTHORS. For the latest, follow @iuniversebook on Twitter.